Easy Divers is now Red Sea Scuba, a division of Divers International - Red Sea Group, offering the very best diving in Sharm el Sheikh on boats exclusively for certified divers. We have boats dedicated to "only diving", guaranteed to visit the very best dive sites of the South Sinai. We deliver the highest quality service possible, to make your dive holiday one to remember for a life time! We have special offers on the Nitrox Course with a 5 Day Package, or when you make the Advanced Course. You pay only only 55€ (plus PADI materials), and the dives are included in your dive package or course! PADI SCUBA Diving Centers in Sharm el Sheikh, offering Red Sea Diving Holidays with affordable accommodation including Dive Packages and PADI Courses. We offer a pre-booking discount of 20% on courses, and 25% on daily boat dives. 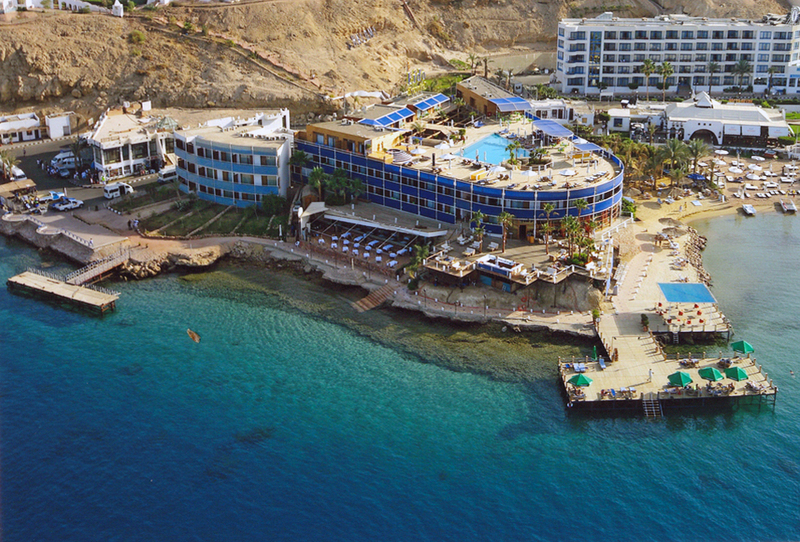 We have special hotel rates for divers at Oriental Rivoli and Eden Rock Hotels in Naama Bay, and Beach Albatros Hotel on the Ras Umm el-Sid cliff in Hadaba, including the extension for Aqua Blu Resort & Aqua-Park attraction across the street. Check our Special Offers for additional discount on Diving Packages and PADI Scuba Diving Courses, along with our Hotel & Diving offers. Our centres dive the world-class Dive Sites of Sharm el Sheikh every day of the year, including Ras Mohamed National Park, Tiran Island Coral Reefs, and the SS Thistelgorm Wreck . Other wreck dives include the Dunraven and the wrecks of Abu Nuhas; The Carnatic, Giannis D., Chrisola K. and the Kimon M. Tile Wreck (a.k.a The Unknown Wreck). Also offered are Liveaboard Safaris from Marsa Alam, Hurghada, and North & South Sinai in Egypt, which range in duration from 1-2 weeks, plus special "3-day Mini-Liveaboard" Safaris to Ras Mohamed and Thistlegorm Wreck. We also go diving in Dahab with special daily trips arranged each week to dive the world famous Blue Hole and Canyon dive sites of Dahab. Also available are overnight Jeep - Camel Safaris to remote places like Abu Galum Bedouin Village, and many other Desert Diving Safaris in the South Sinai desert. We organize dive holidays with first-class service that you will remember and cherish for many years to come, and keep you coming back for more, year after year! If you are ready to dive, we are ready to make your diving holiday one to remember for a life time !